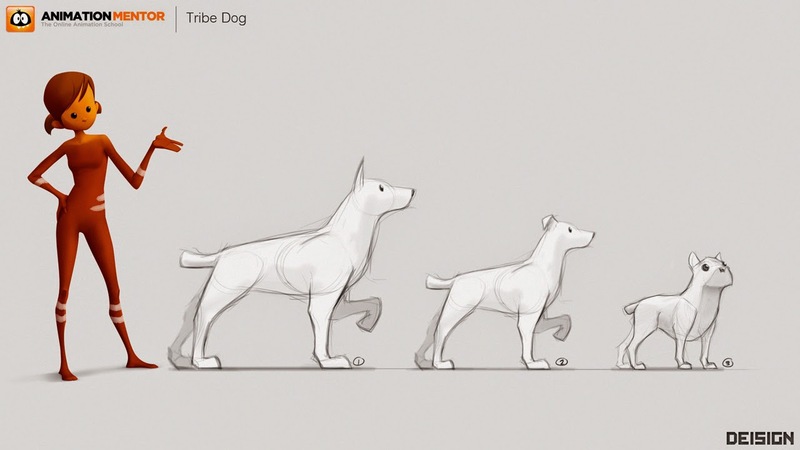 Some more work I did wen creating the TRIBES for Animation Mentor. Here's Sloan's final modeled design and texture mock up. 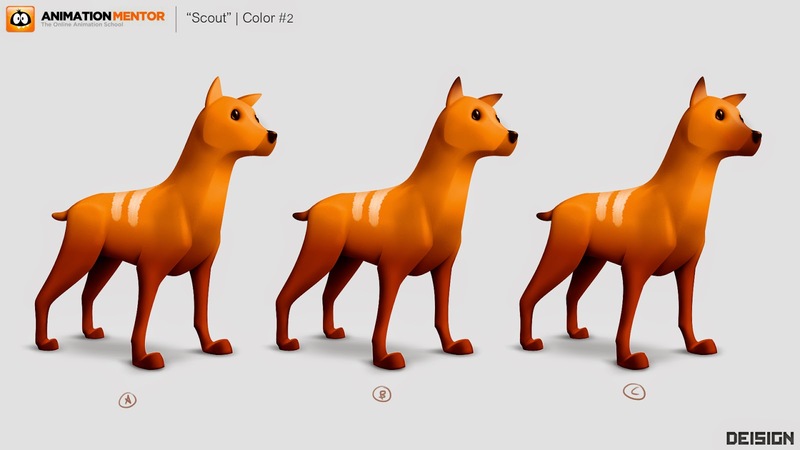 Bellow is some of the work that went into Sloan's creation, before we got to the final design. 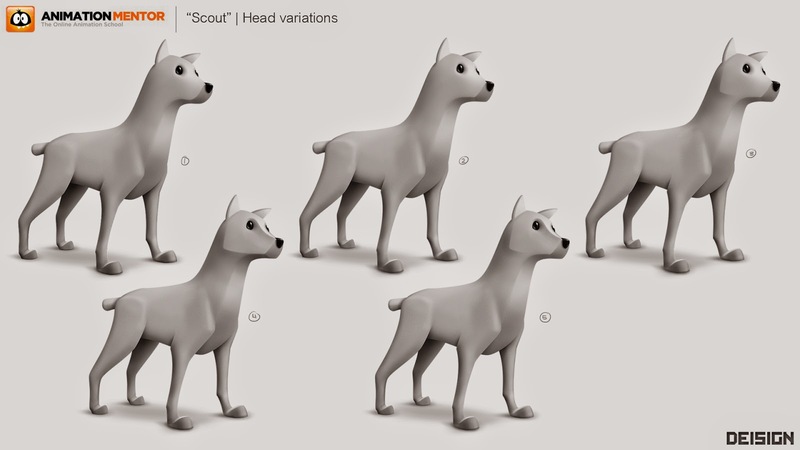 Firstly we wanted to determine, what type/size of dog Sloan was going to be. I had already designed Stella by then, so I used her to figure out the size relationship of Sloan with the rest of the TRIBE. Once we settled for a rough size and type of dog, the time came to solidify the design. Eventually getting to really fine details and variations. Once the "shape" of the design was locked, I got to explore some different looks and texture choices. Always within the brand's look code as "the TRIBE" and also within Animation Mentor as a whole. But work was not over for me just yet. In order to regain Sloan's design's look, I did some texture paintovers on the plain model, to visualize how it should look when finely rendered. You can see some with/without paintover images bellow. This was a super fun character to create; but once again, the most rewarding moments come after the character is released, when it comes to life in the hands of the Animation Mentor students. Bellow is an awesome use of Sloan in an animation by Hernan Giraldo. Just magical. 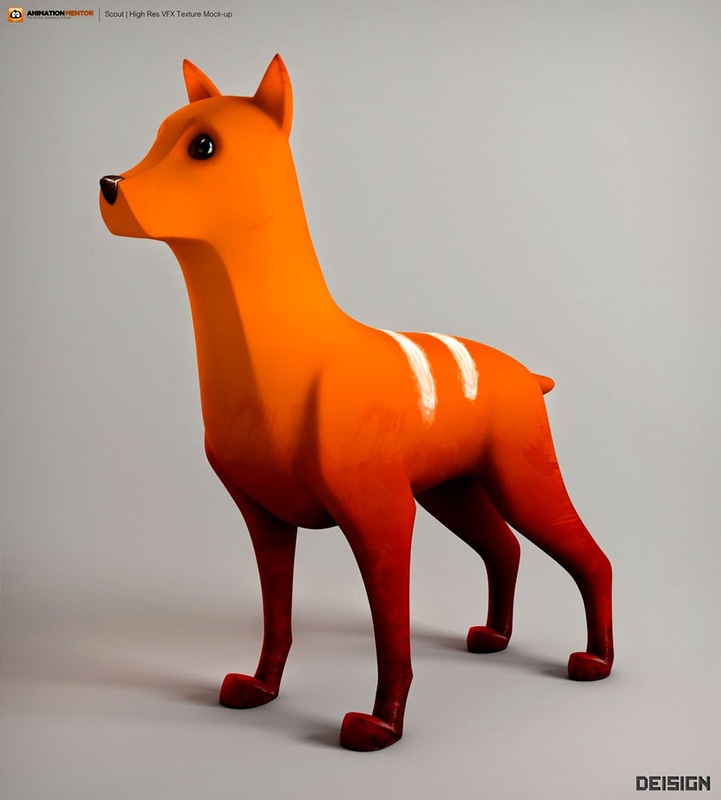 Dog chasing laser from Hernan Giraldo on Vimeo. And to you, thanks for stopping by!! Feel free to shot me any questions bellow or over on Facebook!